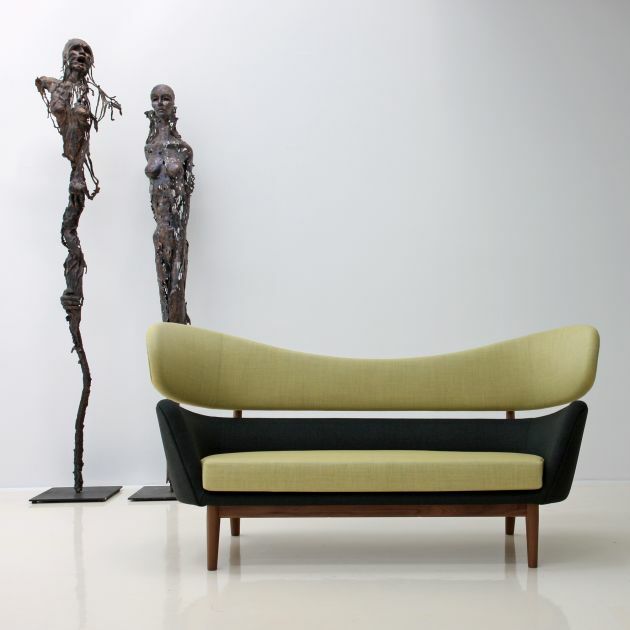 Danish manufacturer OneCollection have reintroduced two sofas that were designed by Finn Juhl. to begin producing them again. 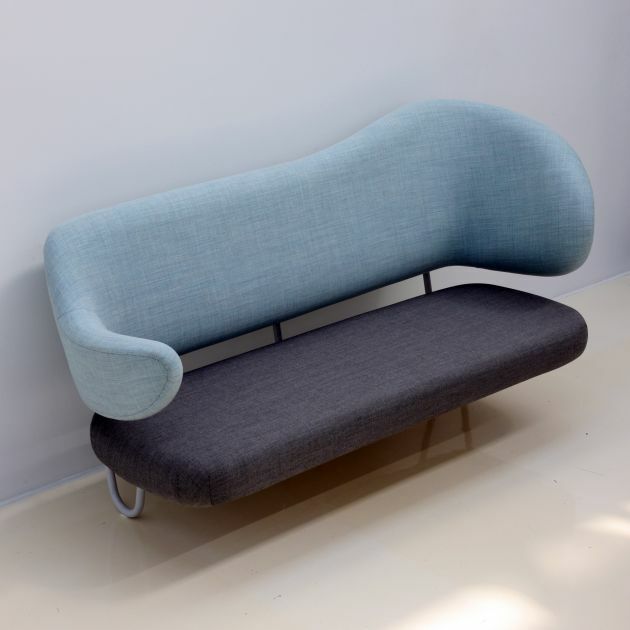 The Wall sofa was originally designed in 1950 for the Nordenfjeldske Kunstindustrimuseum in Trondheim – probably the most well-known room in the museum – which Finn Juhl was asked to furnish by the Norwegian art historian T. Krohn-Hansen. 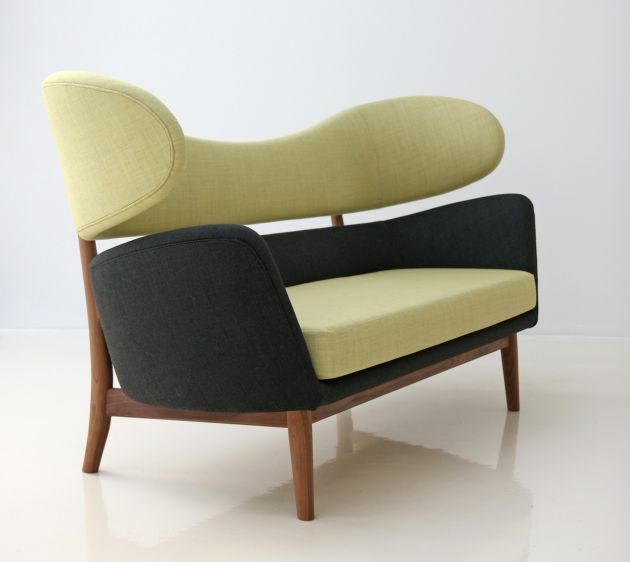 The upholstered sofa is inspired by modern art, such as Henry Moore, Hans Arp, Erik Thommesen and Picasso, in which Finn Juhl was very interested. 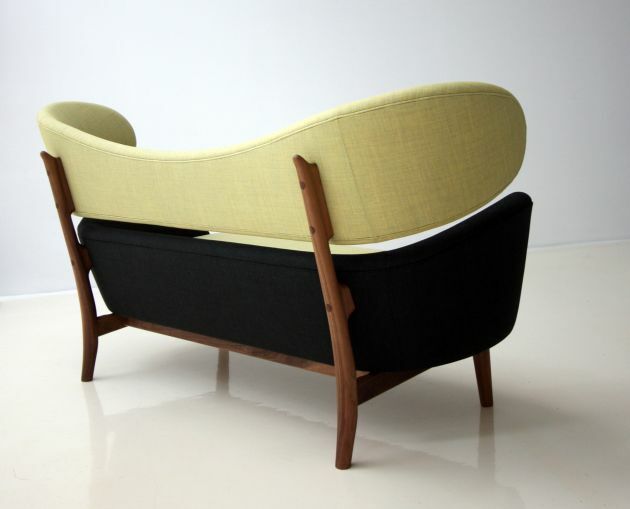 The sofa has lacquered steel legs and the upholstery is handmade. It is fastened to the wall and very few pieces have ever been made. 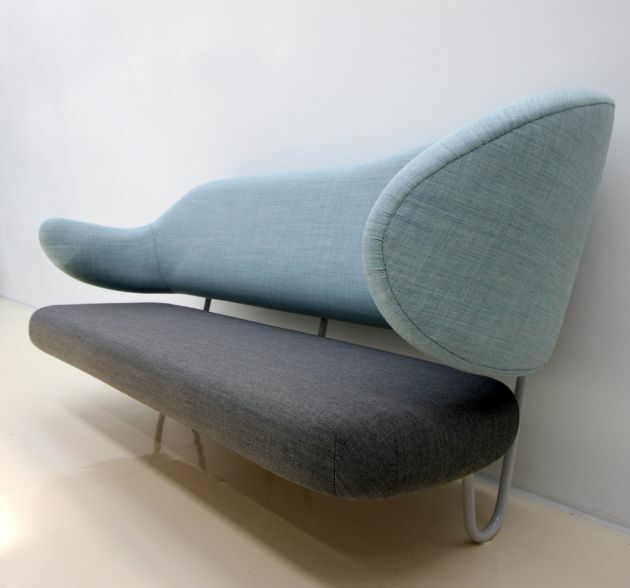 Onecollection has re-launched this in connection with furnishing the AA Design Museum, Korea.